Oakland, California, July 6, 2015. 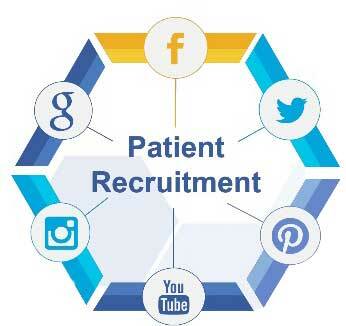 Enov8 Mobile and Bridge Clinical Research have partnered to offer a new social media patient recruitment service that will enable pharmaceutical, biomedical, medical device, and other health care service organizations to quickly and cost effectively recruit minority patients for clinical trials, new drug and disease treatment awareness, and disease prevention. The service will initially focus on minority patients and then expand to include both minority nonminority research participants. The service targets only consumers who are publicly having conversations or seeking solutions to their health care or the health care of a loved one through social media sites, blogs, search engines, or discussion forums. Having the ability to reach, engage, and communicate with a growing and hard to reach minority consumer base solves a real problem for the health care industry.